All the video work was done in Blender From the initial renders of the different components to all the wipes and text animation. The component shots highlighted some modelling issues. Mostly from grouping all the separate parts together and the tendency to inherit each others settings. But I also had to re-shoot most scenes after finding something wrong. From the focus point to the speed/timing. Each short render took hours at 1920x1080, I need an upgrade. In the partial screen shot from Blender VSE (Video Sequence Editor) you can see a number of things. The pink squares are the Cross Fades, in and out. Each has a corresponding Black colour for the fade to aim from/to. The blue squares are the pre-rendered videos of Raspberry Pi components loaded into the sequencer. The stack of yellowed blocks topped with two white blocks are how I did the text appearing and disappearing above the spinning Pi. All the text blocks are defined and positioned at the top of the screen but one of those White colour blocks is masking that from view. The second is placed directly above the Pi and is where the text is animated to. To get the White colour blocks the right size and location you have to set the Strip Input Image Offset and Image Crop. Then the Y location of the Text blocks can be animated with key frames by hovering over the Y input field and pressing I. Animating from the top mask into the space between the two masks and then to the bottom mask and out of sight. I tried to animate the scale of the white title text on the pinky background but the results were very choppy. In the end I created a new Scene in Blender and brought the resulting animation in to the two Meta strips. There was a 3rd Scene created for the credits and is the last green block in the VSE screenshot. Finally, when publishing I tried something I have never tried before with YouTube, I enabled comments on the video. Perhaps not too surprisingly, a comment was added to the video in just a few minutes asking if I wanted to be friends. I think not. It is finally done, or as "done" as it will ever be. I originally wanted to add a silly sound track but this is all taking waaayy too long. Got the laptop running Blender under Ubuntu 16.04.4 but it has only 2GB RAM and is very slow. It is just a few blocks and circle set to 6 sides with and Array modifier. To be fair I have increased the samples to 800 and the Glossy and Transmission counts to 12. 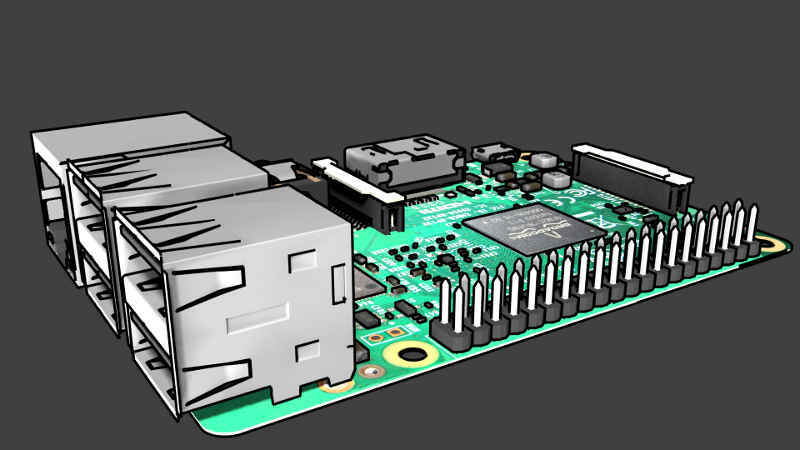 If my main computer ever finishes rendering all the main Raspberry Pi animations I want then I will try the same .blend file and see how long it takes. The Windows laptop I was using for the TL-WR841N v12 is not a pretty sight. There are keys missing, cracked hinge(risky to open and close), not to mention the Vista install. The owner had declared it ewaste so I thought I would Linux ise it and see if it was worth keeping around. It is only 32bit (how old!) so I had to do some digging to find a Linux ISO. The Ubuntu (alternate) downloads page required a lot of scrolling to find. Ubuntu 16.04.4 LTS (Xenial Xerus) which is from April 2016 but still supported and this version is dates Feb 2018. I tried repartitioning the USB drive a few times with different partition types, to no avail. where /dev/sdd is your USB drive, always double check this value before continuing, as it is often different in different machines. That finished and after some odd errors that I did not quite have time to read it booted ! When I convinced work to upgrade to a Ubiquiti Wi-Fi access point, it obsoleted the (very cheap) TP-LINK Wi-Fi router they had been using. I kept this and decided it would be smart to flash it to DD-WRT with some known settings for emergency use. To be fair, I stole this idea off another company that, when our company first experienced Wi-Fi issues, lent us a flashed router setup for testing. The TL-WR841N(D) v12 worked fine for two/three clients but when a forth and fifth were added, became more and more unstable. avoiding the ones with "US" in the file name. Then I booted up a Windows Vista laptop I had been given a couple of weeks ago and copied the files across. Then I plugged a LAN cable in to Port 1 on the TL-WR841N and powered it up. Once it was up I plugged the other end into the laptop. Drat! Issue. The router was NOT previously set up as DHCP so the laptop is not being given and IP address. OK, configured network, Firefox and in. Using TFTP *might* have worked but there was enough confusion on the forums that I will consider this router e-waste. Stuff has been happening. I wanted to have something finished to share but that is not going to happen anytime soon so I am blogging this update. and they have a cool launch video which I took a shine to. I did imagine recreating the video with my Blender rendered old Raspberry Pi 3 Model B that night. After all how hard could it be? Turns out quite hard or, more to the point, time consuming. This still is from the turning sequence that lasts for just 10 seconds. At 1920x1080 that took 30+ hours to render. But I did get to test the Blender VSE effects and know how to create the text animations. Just before that announcement, I had spent a few hours just going through the model tidying up bits. To my horror I found I had missed off two solder pads from the board texture and one whole component! This was after I played with Freestyle in Blender to get a nice comic line rendering which revealed some odd geometry problems. This image was edited to remove them. The Ethernet and two USB ports both had strange lines down the middle. The lines were where the Mirror modifier had be set. Applying the modifier did not fix the problem. 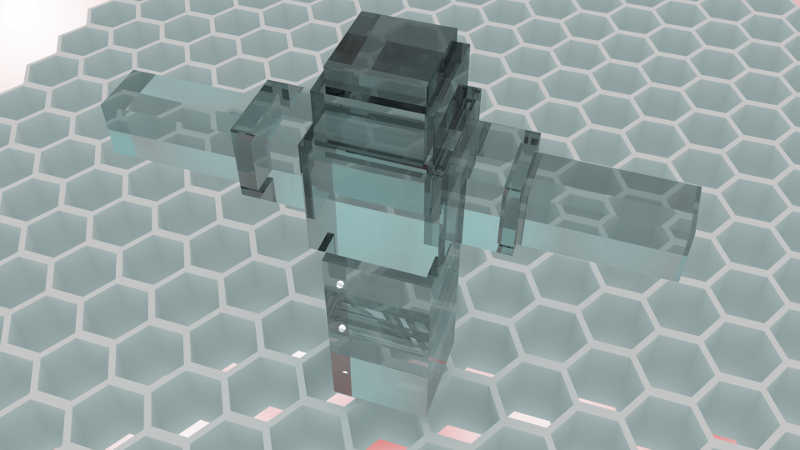 When using non Freestyle rendering, even really close up there was no issue. In the end I found the Mirror modifier was not doing a good job of Merging and Clipping. By setting the Merge limit to 0.1005 the problem was solved. I also spent time during the clean up to try and name all the components. Create a cool Blueprint, did investigations on options weeks ago, test looked really cool. Create a animation of multiple Pis falling into a pile. Those last three were always in the plan and had been envisioned before most of the model was complete. I always find Christmas challenging when asked what I want. I do keep my Amazon wish list topped up with 200+ items, which is great for little things. But for special items I am not very good. 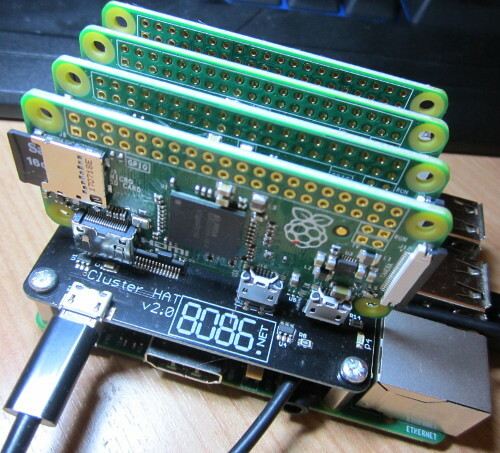 But you could buy the Raspberry Pi Cluster Hat v2 board on its own. OK, "add to basket" then add the Pi Zeros and the SD cards and "Order rejected"?!? Turns out Pi Zeros are Still restricted to one per customer, grrr. So I ordered one from pimoroni.com, one from thepihut.com and a kit from ModMyPi.com an another from ModMyPi.com. All came in plenty of time for Christmas and then Christmas came and went and I examined all the pieces but never got around to putting it together. Until a week before my super illness when I watched all the Videos and actually built the thing. I even burnt all the SD Cards, but then got ill and forgot about it. Now I am Back Baby! Before I go any further the video is for the V1 and the USB power port has moved now in the V2. Although there is this video using no SD cards for the Pi Zeros I wanted to first get the basic setup working. I had bought all those SD cards, after all. Had to download the Master image and the Slave image. I could have downloaded one image per Pi, ending up with 5 image files, but instead I opted to manually modify the slave images. Once the slave image was written to each SD card I had to mount it and update the cmdline.txt, just tweaking Pi Zero identifier. changing the p1 to p2, p3 ,p4 one for each Pi Zero. Both those changes are on the vfat boot partition so you could make the change on almost any computer. 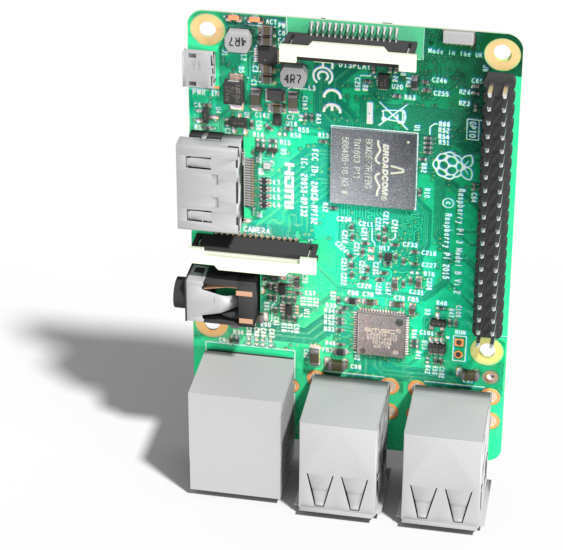 The Pi Zeros are powered by the Cluster Hat and the Cluster Hat is powered by the Raspberry Pi 3, that in turn, it powered by an official Raspberry Pi Foundation power supply. now what? Strangely I cannot find any documentation on what to do next, but there was something in the videos about networking. Found a note on one of the videos that DHCP might be required. plugged in ethernet and rebooted. the resolved ip addresses are directly from my local sub-net DHCP. If I take down the Pis with clusterhat off then on again, they have the same ip addresses. reboot whole Cluster Hat and still get the same weird ip addresses. Next step, make all the machines accept key less ssh connections. also did not ask for current password. 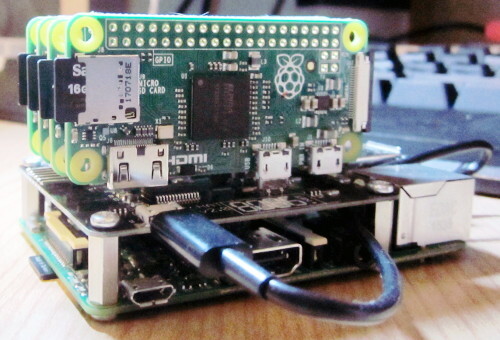 It is a mini self contained Pi network. Need to think on this. It is worth pointing out that yesterdays 3D print from https://www.shapeways.com was only available in Black HP Nylon Plastic presumably due to the thin walls and was about 3x the price of the cheapest plastics. Now I have been back and and adjusted the size, just about all the hundreds of other materials are available, including solid Gold. But really, the cheapo plastic option is now selectable and is about the same price as the original Black HP Nylon Plastic, presumably due to the thicker walls. I have wanted to try for many years, so I created this construction hard hat. The idea being, it would only take a few minutes to construct, because it is such a simple shape.